I know I have. 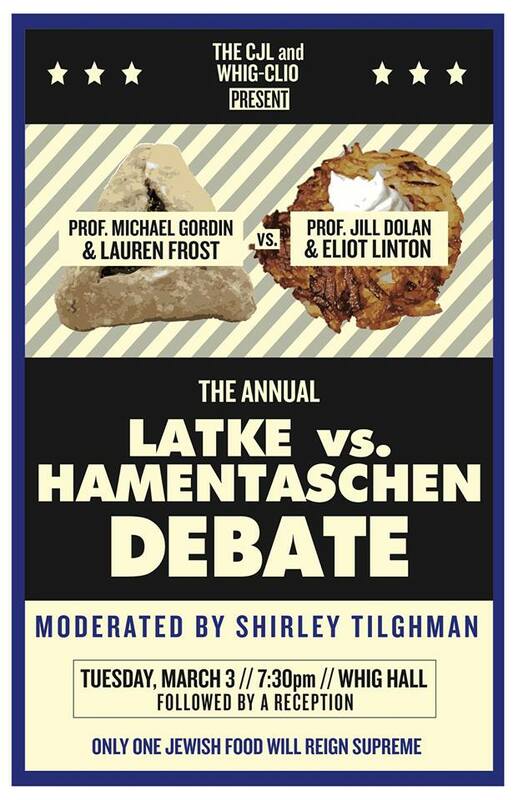 And that is why I spoke against the latke and in defense of the hamentaschen in Princeton's annual Latke Hamentaschen debate. Every year, professors and students team up to argue about which is the superior Jewish food in an event co-sponsored by the Whig-Clio Society and the Center for Jewish Life. The arguments often become silly and satirical quickly, but I decided to treat this debate with the utmost sincerity. Especially since I was competing against my arch-nemesis, Eliot Linton. Linton and Professor Jill Dolan represented the latke, while Professor Michael Gordin and I went to bat for the hamentaschen. The debate was moderated by Shirley Tilghman, former president of the University, who claimed to be impartial (although I suspect she has quite a few latke skeletons in her closet!). 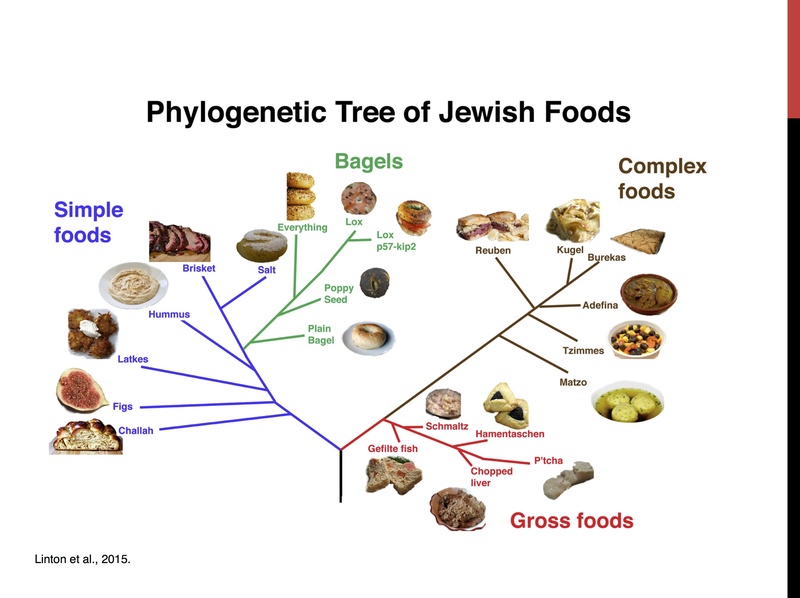 Linton's presentation discussed the phylogeny of Jewish foods. 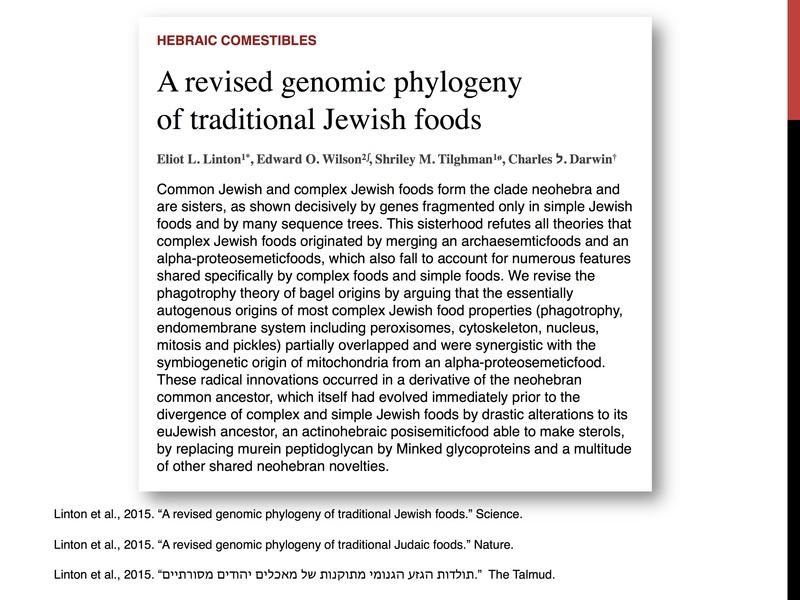 He claimed that while original researchers placed latkes in the simple foods group and hamentaschen in the complex foods group, recent research suggests that hamentaschen are more closely related to gross foods. He even cited himself, down at the bottom. I don't trust it. He also discussed an article that he supposedly co-wrote with Tilghman and Charles Darwin. Wait a second... Charles Darwin? But he's dead! Why didn't I say something?! Linton is an ecology and evolutionary biology major, so I trusted his science. But all those charts and graphs couldn't hold a candle to my incredibly artistic presentation. I'll never trust a PowerPoint that WASN'T made with Microsoft Paint. 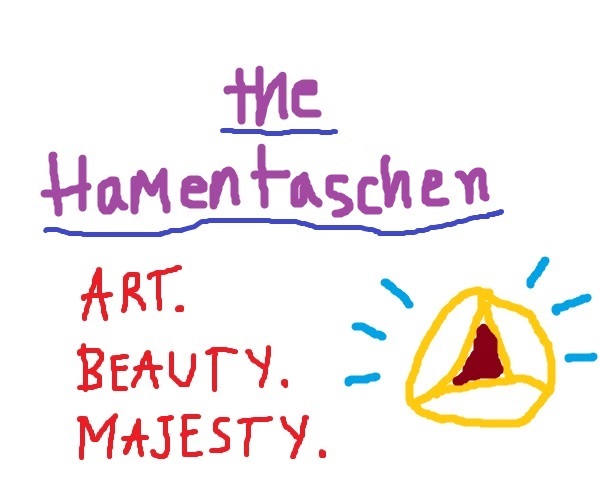 I began with a short discussion of the importance of the hamentaschen throughout art history. 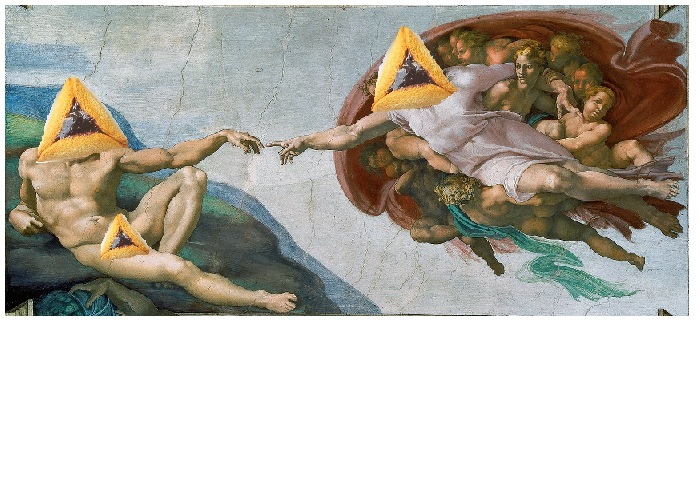 Without the hamentaschen, would this even be a recognizable image? But I quickly transitioned into an ad hominem attack in which I urged the audience not to trust Linton. I presented a timeline of an average day in Linton's life as evidence that he was not trustworthy. 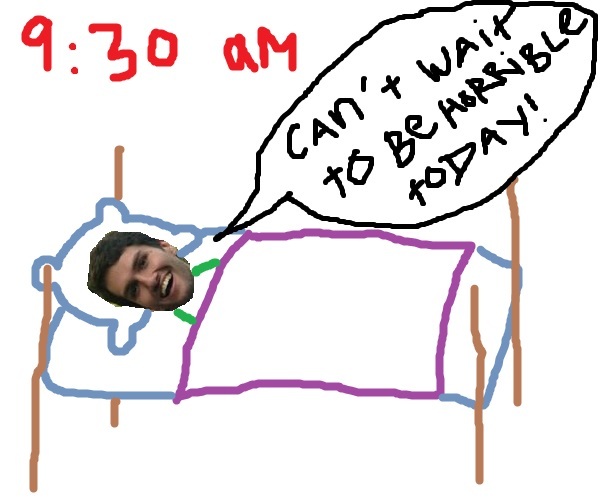 9:30 AM: Eliot wakes up. 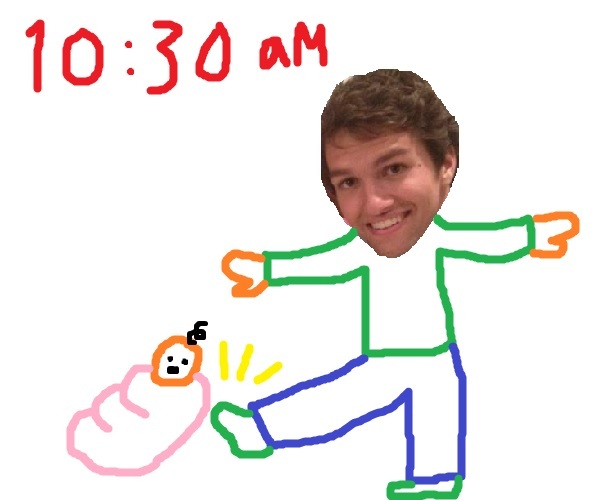 10:30 AM: Eliot kicks a baby. 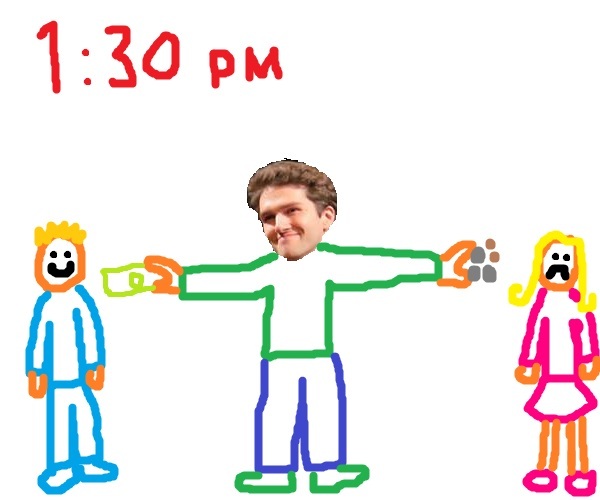 1:30 PM: Eliot pays his female employees 77 cents for every dollar he gives his male employees. Even Dolan was not safe from my pursuit of the truth. I concluded my argument with a shocking reveal. 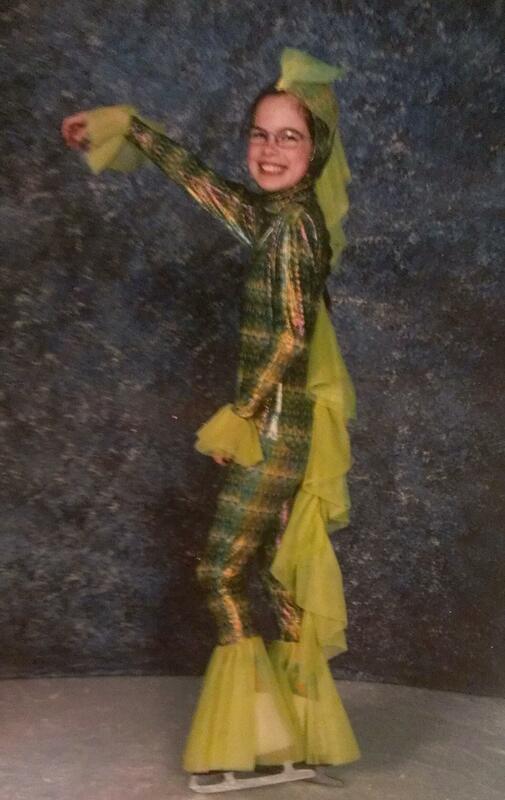 Throughout my presentation, I had made frequent references to an ice skating routine that I performed in fourth grade while wearing a giant sequined eel costume. At the end of the debate, I revealed that I was wearing that very same eel costume. In fact, I had been wearing it under my clothes for the last hour. I undressed to reveal the full costume, and the crowd went wild. Some people were perhaps wondering what my eel costume had to do with the hamentaschen's superiority over the latke, and to those people I say, uh, hmm, yeah, good point. But it killed nonetheless! In the end, much to my horror, the hamentaschen was vanquished. Audience members voted for the crisp, tasty latke. Still, I hope this blog post caused you, the brave and valiant prospective students of Princeton University, to reconsider your beliefs and side with the hamentaschen. We can rid the world of evil, one potato pancake at a time.